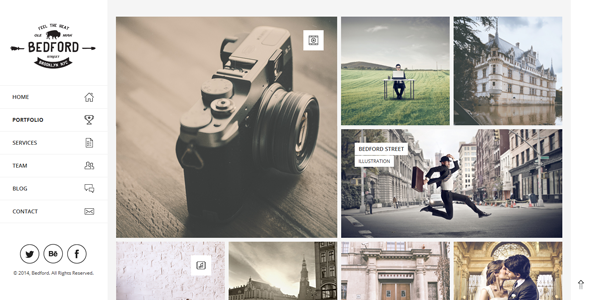 Bedford is responsive portfolio theme that enables you to beautifully showcase your work on any device. Its layout based on flexible Grid system, it is Retina-ready and produce valid modern HTML5 markup. Bedford is suitable for Artists, Photographers, Freelancers and many types of small businesses. It comes with simple drag and drop Page Builder and provides fields and options to easily modify individual entries styling. Well formatted and documented template files. Localization ready – contains POT file with all theme text strings, ready for translation. XML with Demo Content ready to import. 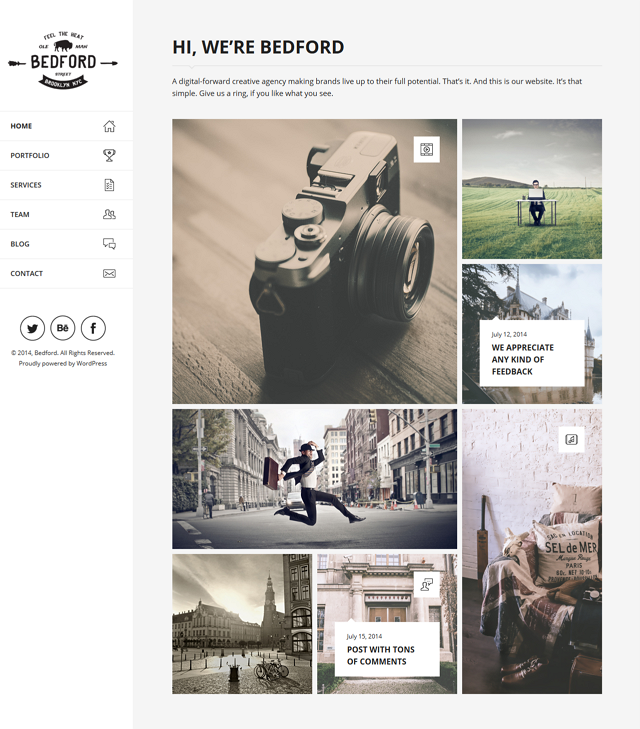 Item Reviewed: Bedford Responsive Portfolio WordPress Theme 9 out of 10 based on 10 ratings. 9 user reviews.